Happy Pink Saturday! Thank you to Beverly at How Sweet The Sound for hosting this weekly event. 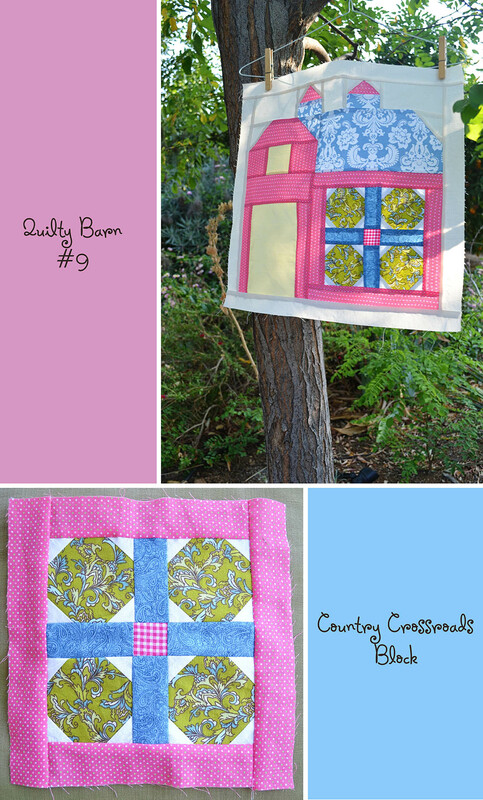 Here is Quilty Barn #9 of Lori Holt’s Quilty Barn A Long. The wind was kicking up a bit when I tried taking these photos. I think there are three more barns to go, and then there are also the Quilty Silo Barns to start on as well as the tractor label. Pretty fabric combination! Happy pink Saturday! Your quilt block is delightful! Love the pink!